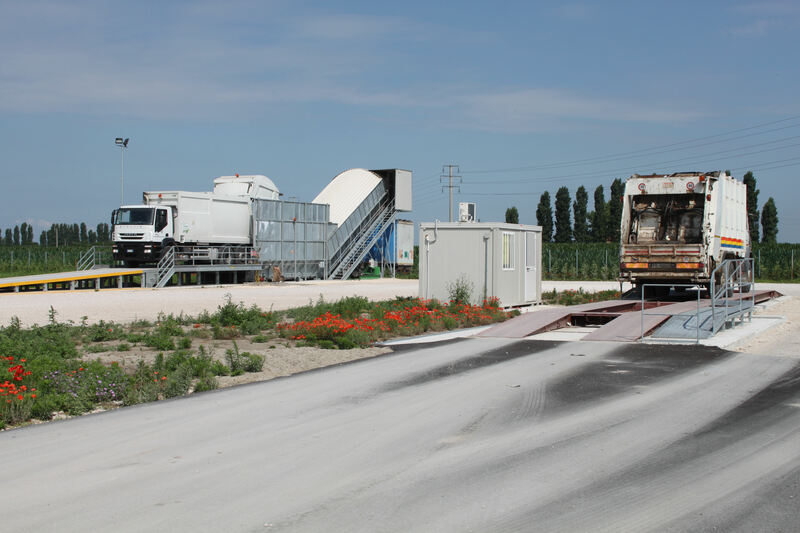 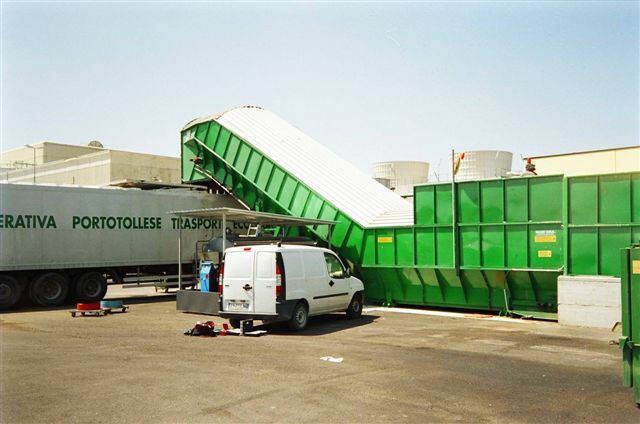 The conveyor belt ZC21/15 is our solution for the transference of the garbage from the collectos to semitrailers to minimize the ineffeciencies connected to the road transportation. 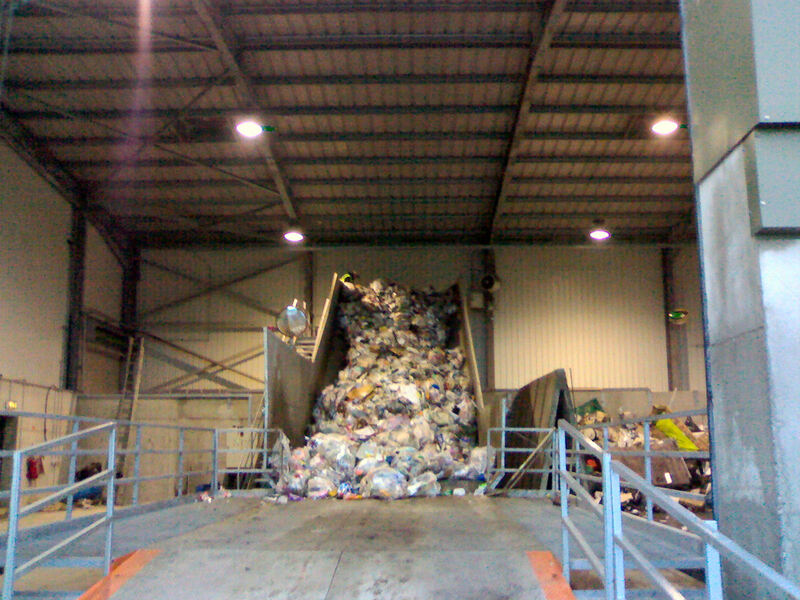 Modular, with a great section (3,6m) is perfect to accomodate the garbage collectors without bumps. 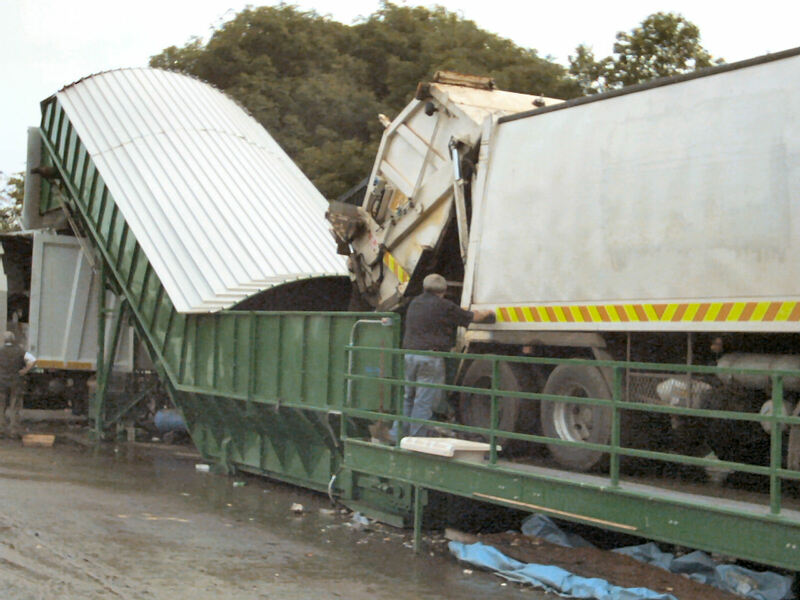 The waste is shoved along is lenght by steel shovels which slides over an Hardox bed. 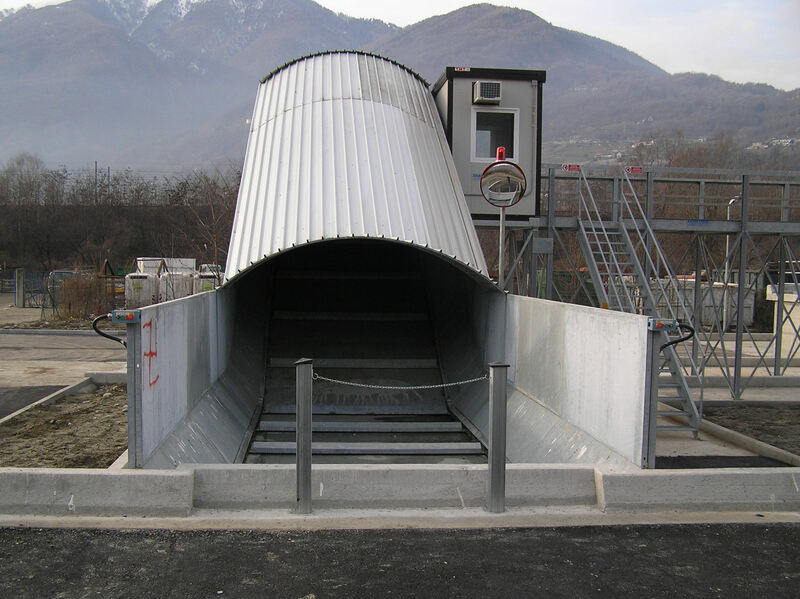 The conveyor is seal tight: the sewage is collected in a tank at the feet of the conveyor and can then be set to a proper tank or to the semitrailers under the conveyor. 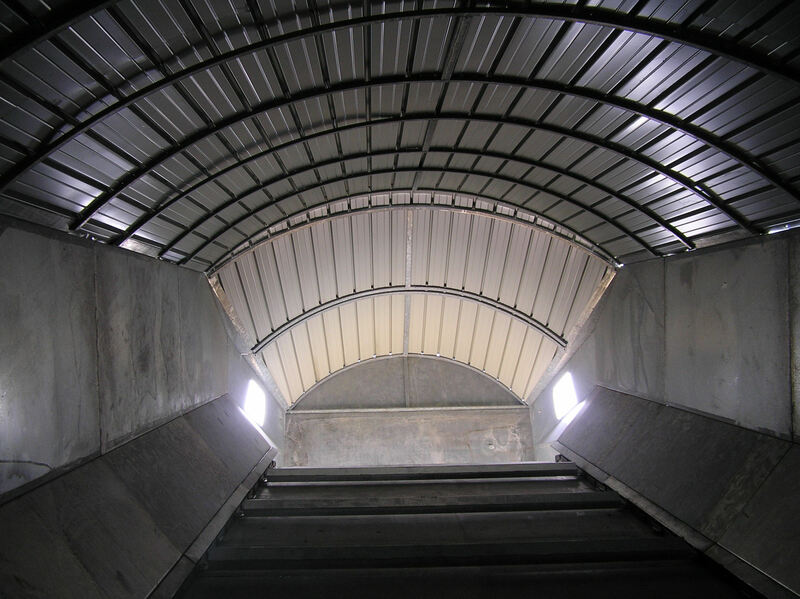 It can be easily adjusted to any area or necessity, contact us for a custom-tailored layout. 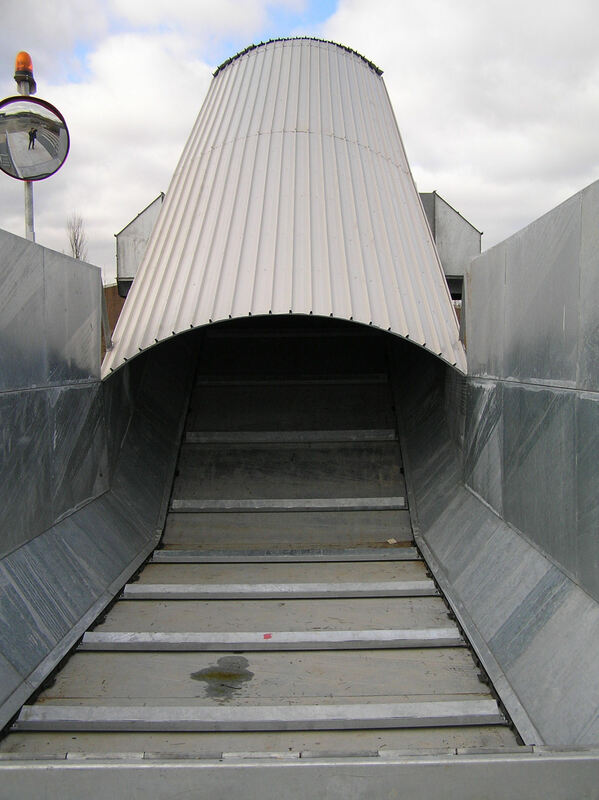 The conveyor ZC21/14 is entirely built in high resistant steels, it has a great resiliance and is made to withstand to the bumps and falls of the garbage from the collectors, even from considerable heights. 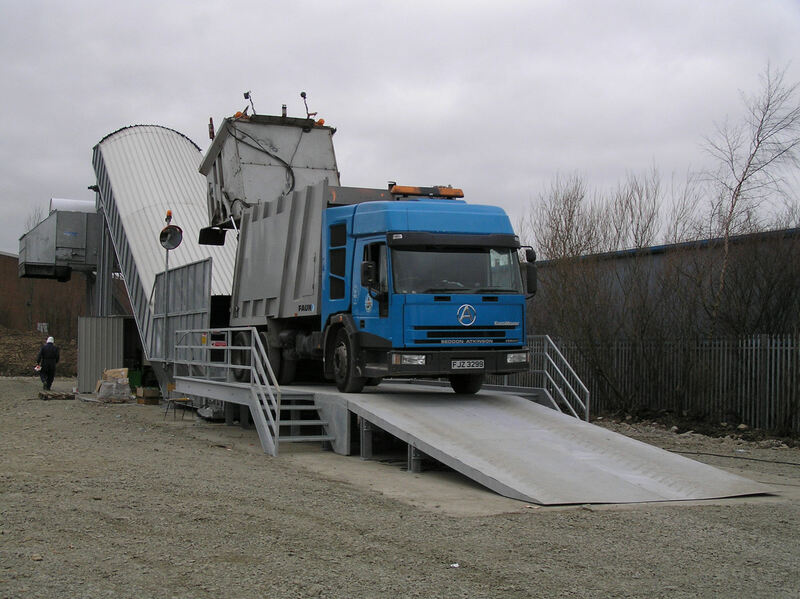 Some of our conveyor are still working after 15 years of continuous activity. 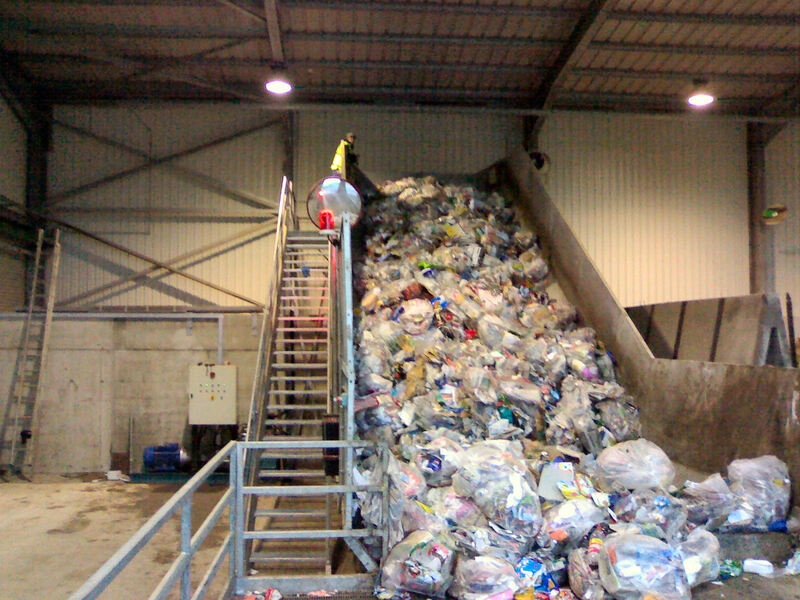 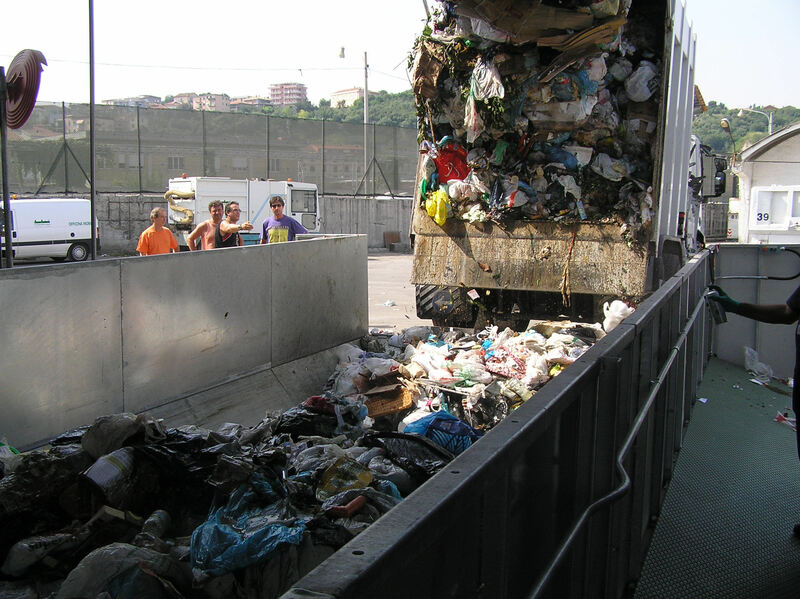 Not only the big dimensions make easy the unload of the garbage trucks, but they also ensure a great flow rate of the waste over the conveyor, in this way there is almost no time wasted between the unload of one truck and the next. 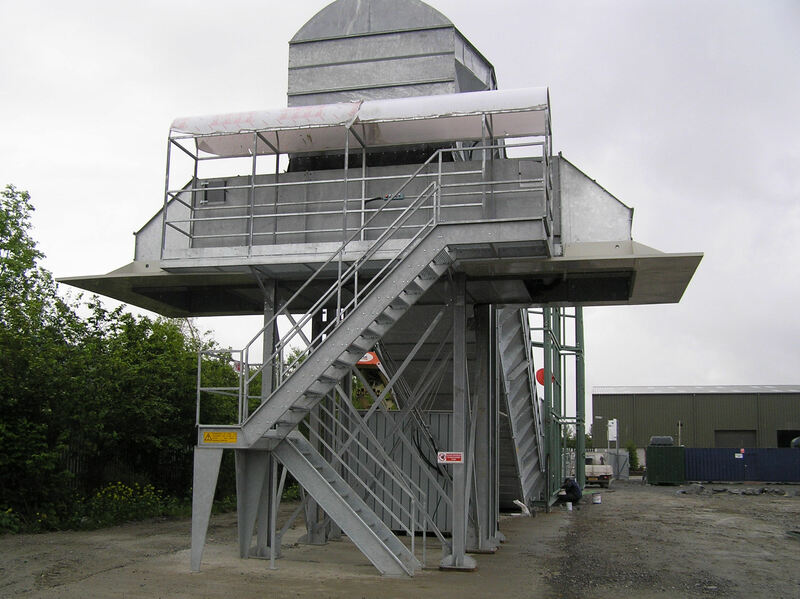 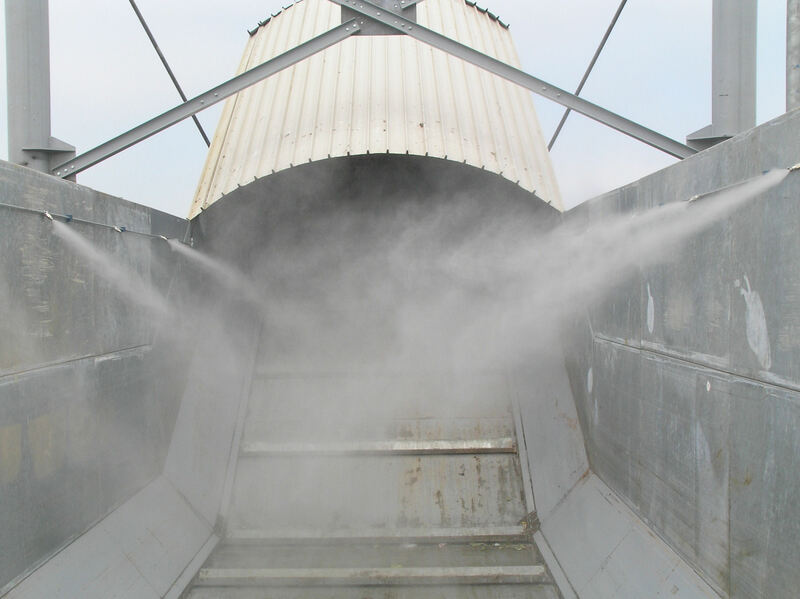 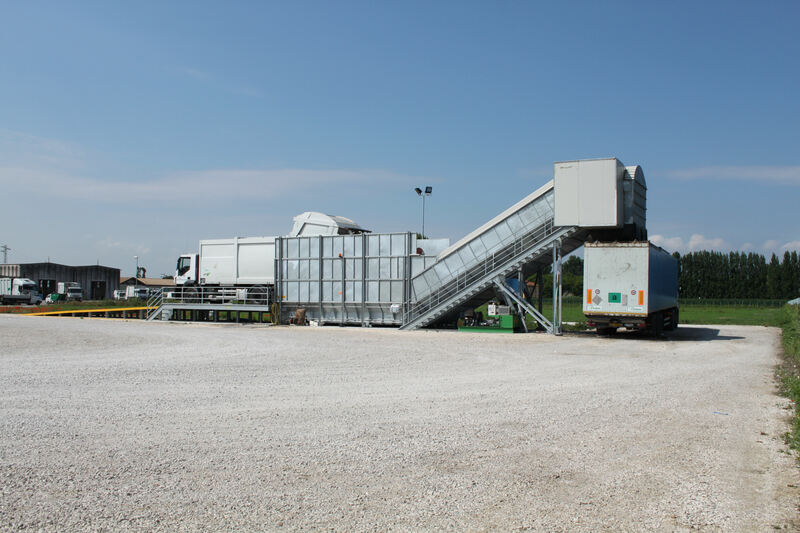 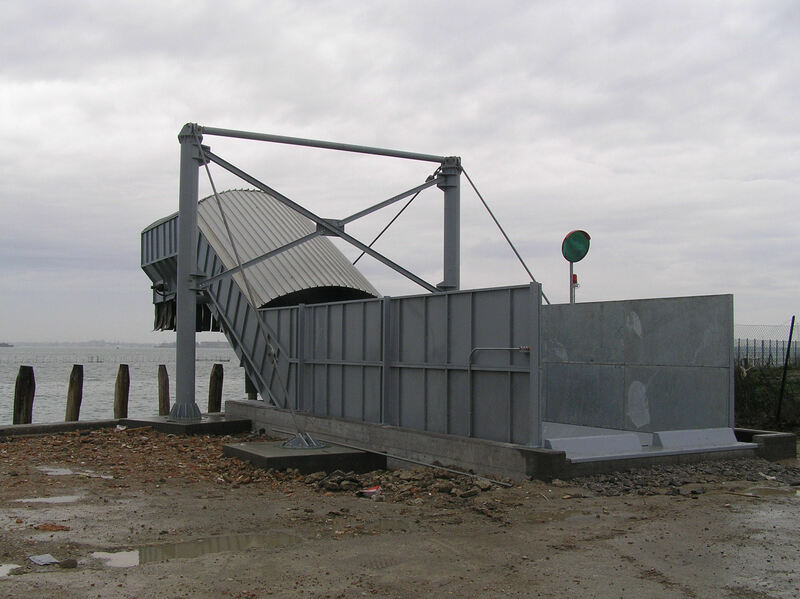 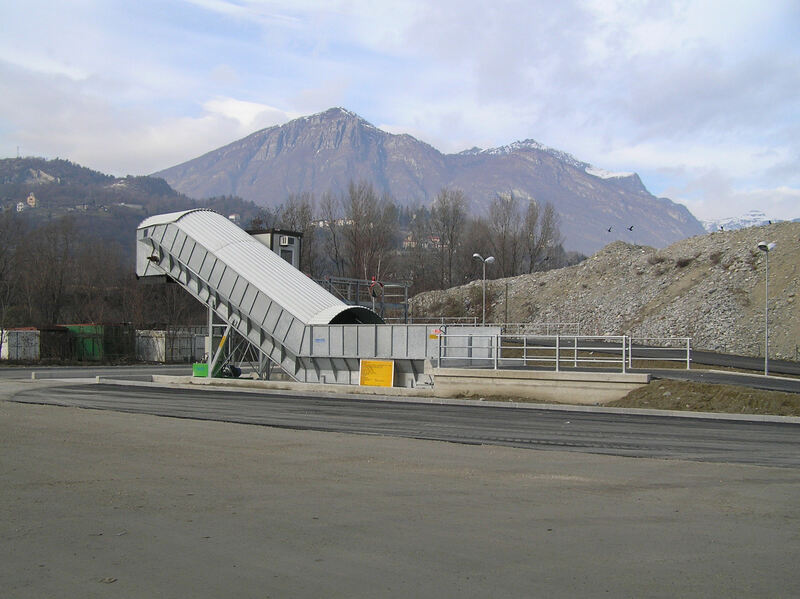 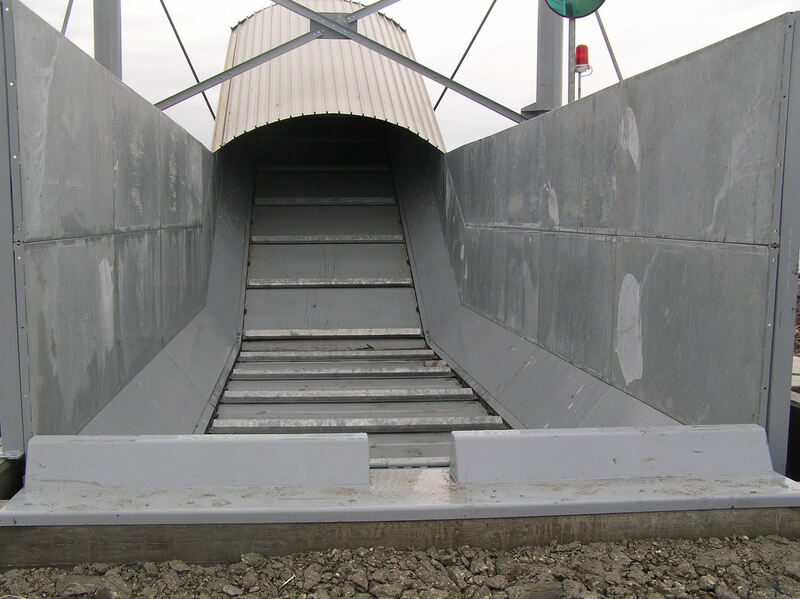 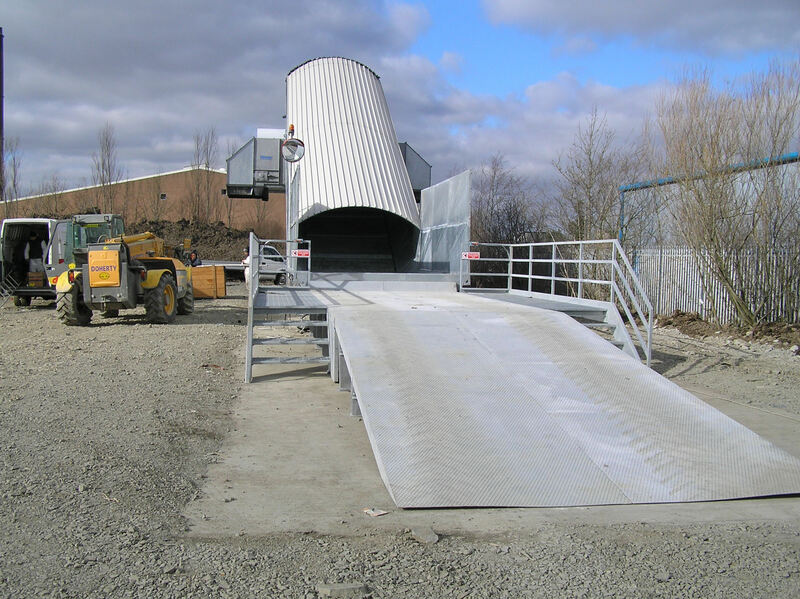 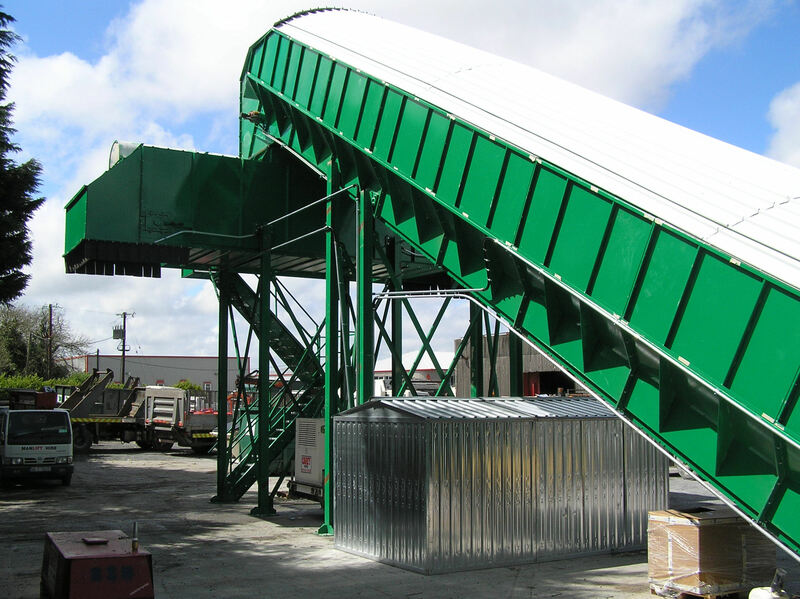 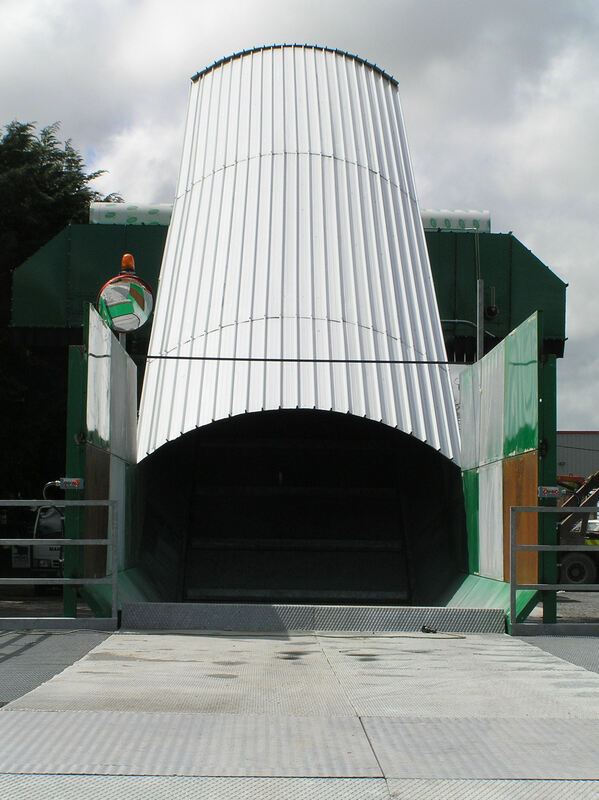 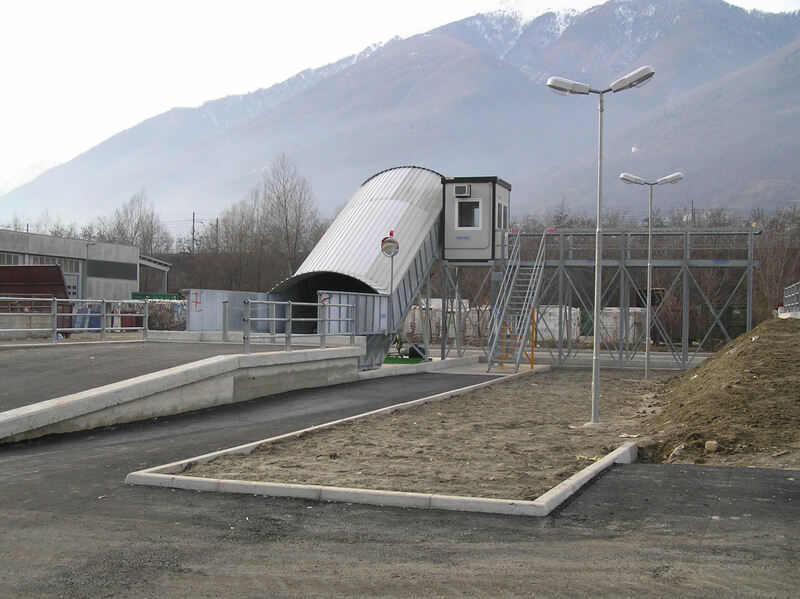 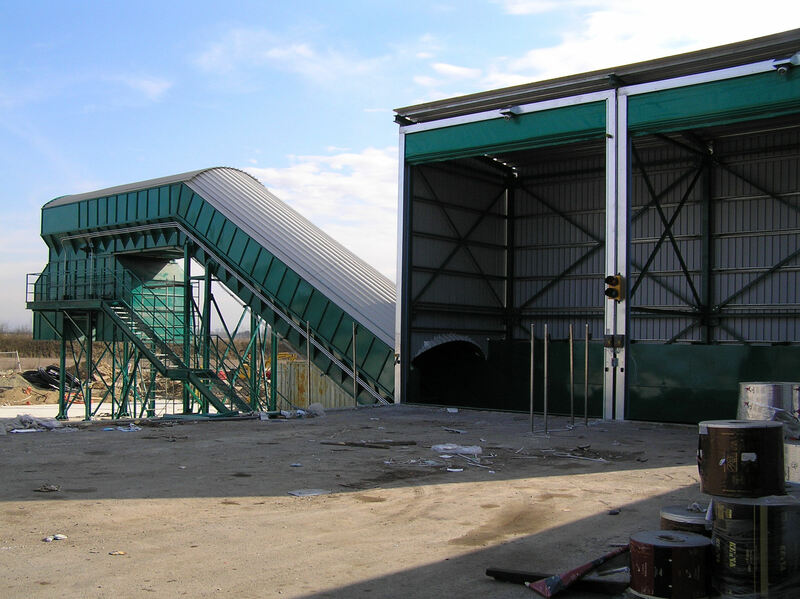 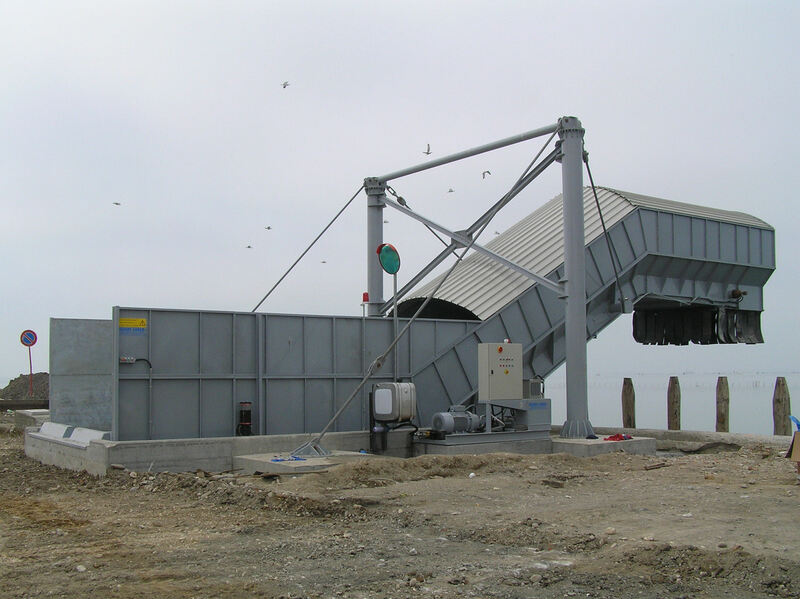 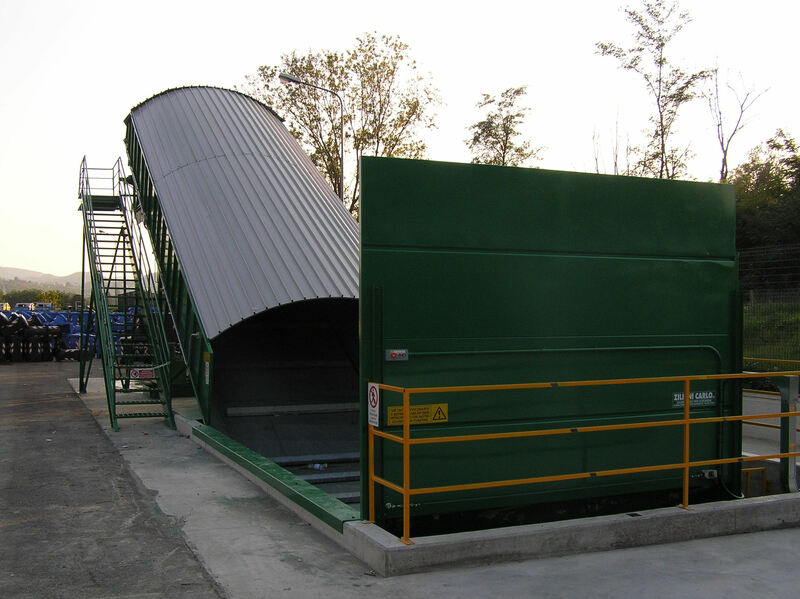 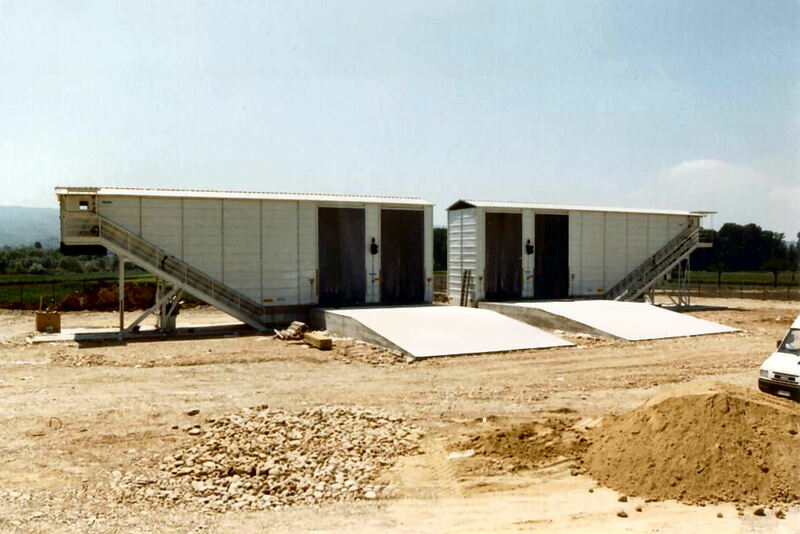 Provided with a metal ramp or designed to fit a pit in the ground, painted or hot dip galvanized, with special hoppers, side loading (and multiple loading) or frontal, roofing of the unload zone, dust abatement system, cabins for inspection, mobile floor container to stock the garbage or reversible conveyor belts. 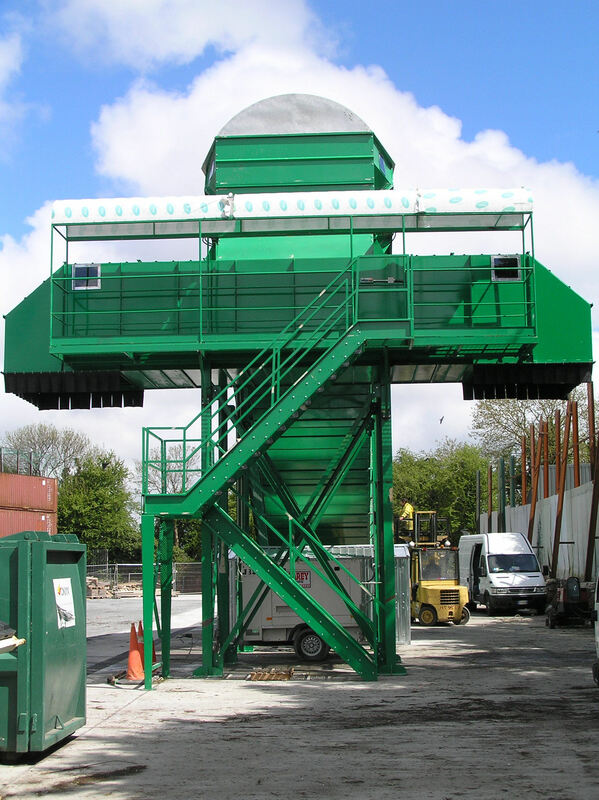 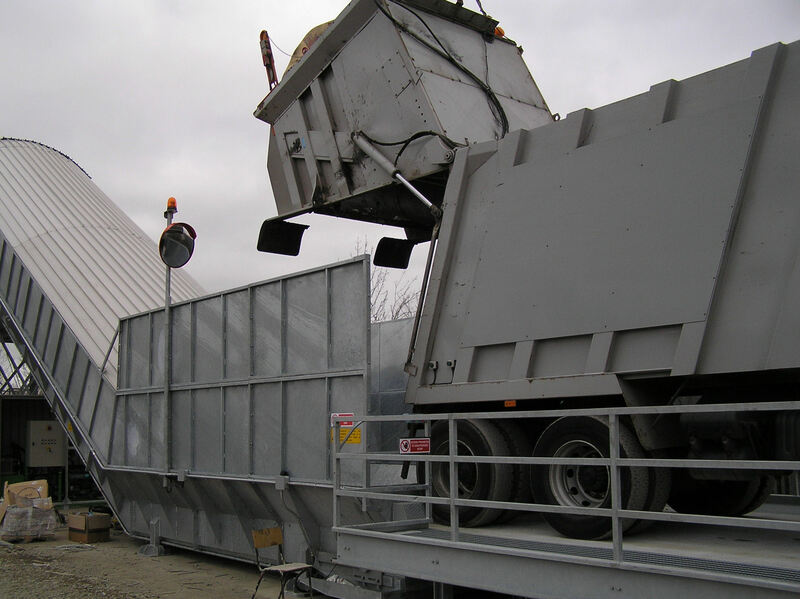 The transference plant ZC21/14 can be tailored for every type of client, garbage and volumes.